This is not just any old Moth - it is the DH-60M flown by CWA Scott from England to Australia in 1931. Elapsed time to Darwin 9 days, 4 hours and 11 minutes. In spite of the registration, the aircraft was restored in and is based in Australia! 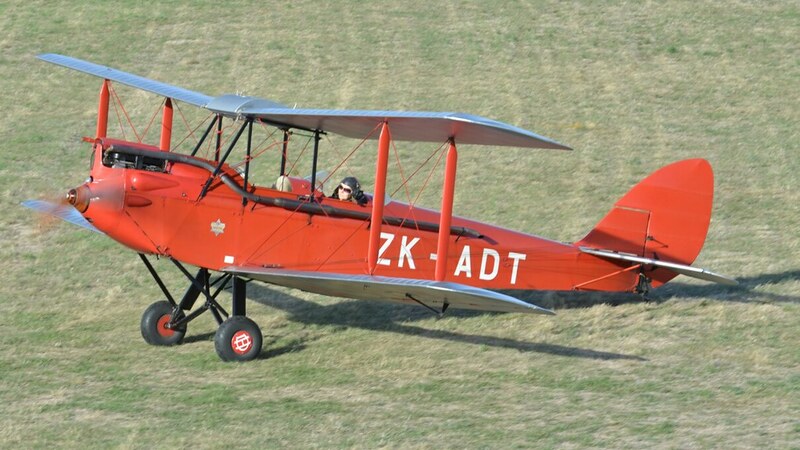 The lovely DH.60 ZK-ADT was flown from UK to Australia (then shipped to NZ) in 1934 - and is now owned by the daughter of the pilot that did it! I've chatted with Jan Chisum in the Marlborough Aero Club bar at an Omaka airshow - great lady! If anyone lives in south east Queensland and fancy’s a trip out to Archerfield airport today, VH-UQH will be arriving at 2pm. Naturally weather permitting but it’s a lovely day right now.